Haverhill Team programme support community garden and go on work experience! 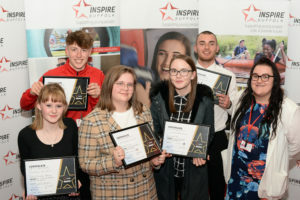 Our young people are currently taking part in our Prince’s Trust Team programme based in Haverhill and are having a positive impact on the local community! 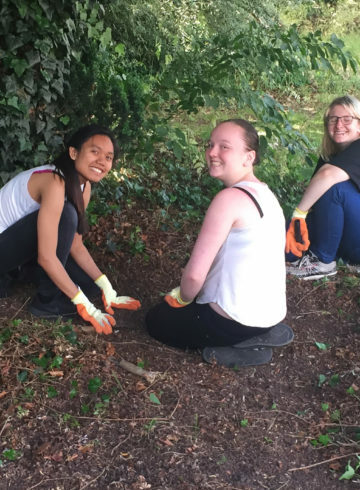 The Team programme have done this by restoring an overgrown area beside The Burton Centre which is where the Hospice, Library and community café is located. 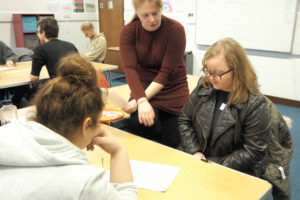 As part of our 12-week course in partnership with the Prince’s Trust, the young people are required to plan and complete a community project of their choice which will benefit their local community and provides them with an excellent opportunity to put on their CVs. Other aspects of the course include work experience, an outward bound residential trip, and work skills weeks. Following their community project, our Haverhill Team programme are going on work experience within the local community and are going to local cafes, shops, St Nicholas Hospice, Haverhill Library and local garages to name a few. The Team are all really excited about their work experience placements. 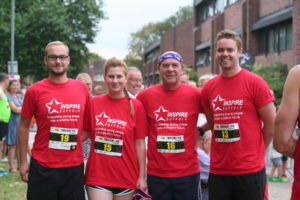 They fundraised for their community project so they could buy materials to help with restoring the area including hosting a bake sale, a sponsored walk and a tombola to raise money for their project. 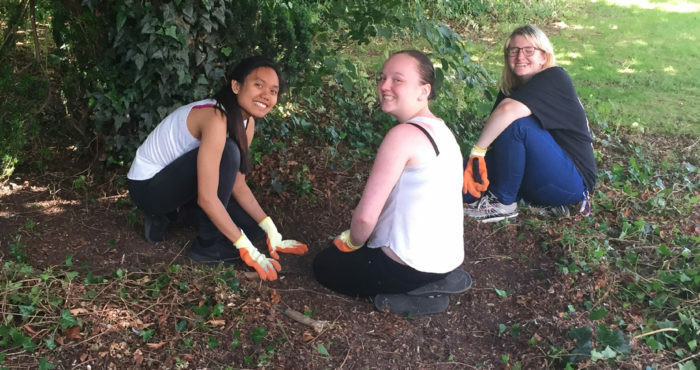 Our Haverhill Team have been hard at work restoring the overgrown area opposite the library they have been clearing, weeding, refurbing and planting new plants. They felt like by restoring the area it would benefit the wider community by making the area a friendly place for the public and families who visit, as well as a place that the St Nicholas Hospice and Library staff and users could use and feel comfortable in. Enquire about: Haverhill Team programme support community garden and go on work experience!